The UN Forum on Forests (UNFF) carries out its forest financing activities through the Global Forest Financing Facilitation Network (GFFFN). In 2015, the Economic and Social Council of the United Nations (ECOSOC), in its Resolution of International arrangement on forests beyond 2015 (2015/33) welcomed the work carried out by the UNFF Facilitative Process (ECOSOC 2009/118), and decided to upgrade it to the “Global Forest Financing Facilitation Network”. 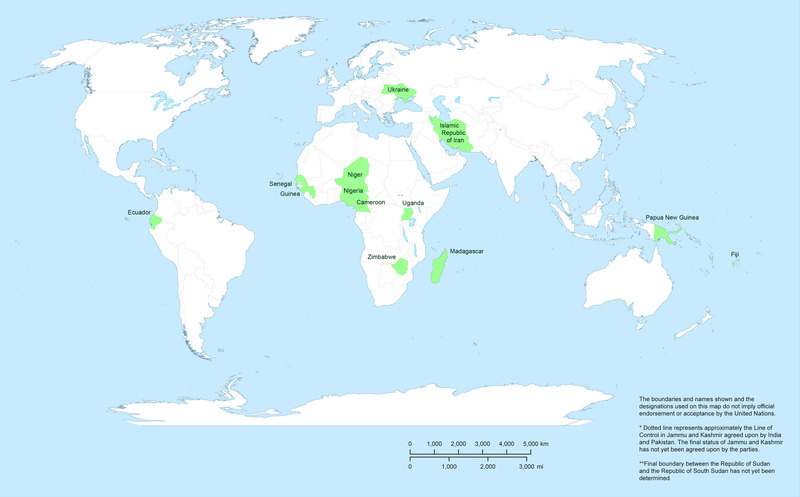 In addition, special consideration is given to the special needs and circumstances of Africa, the least developed countries, low-forest-cover countries, high-forest-cover countries, medium-forest-cover low-deforestation countries and small island developing States, as well as countries with economies in transition, in gaining access to funds. The GFFFN would also contribute to the achievement of the global forest goals and targets as well as priorities contained in the Forum’s Quadrennial Programme of Work. Since its inception in 2015, the GFFFN has contributed to scaling up efforts to implement SFM by facilitating access by countries to financial resources. At the national level, the Network has helped 13 countries to mobilize resources from different sources: Cameroon, Ecuador, Fiji, Guinea, Iran, Madagascar, Niger, Nigeria, Papua New Guinea, Senegal, Uganda, Ukraine and Zimbabwe. At the regional and sub-regional level, the Network has organized training workshops on accessing funds from multilateral financing mechanisms. These regions are the ECO region (Central Asia), SADC region (Southern Africa), Southeast Asia, SPC region (Pacific) and the African Union. In just two years, the Network has trained over 300 representatives of government, civil society and academia in formulating project proposals on sustainable forest management. The GFFFN is collaborating with a wide range of organisations, including members of the Collaborative Partnership on Forests (CPF) such as FAO, the GEF, IUCN, UNCCD and UNDP as well as other partners, notably the Green Climate Fund, the African Development Bank, African Forest Forum and Conservation International.